Our leasing fee is generally the equivalent of one month’s rent. For example, if your home rents for $1,000 per month, we will retain that $1,000 as our leasing fee. The average rent in Indianapolis is between $1,050-$1,100 per month. If you are a Full Service or Premium Plan Client and your home is significantly higher than that average, we will cap this fee at $1,500. Marketing makes a difference and no one provides a more comprehensive marketing program than we do. 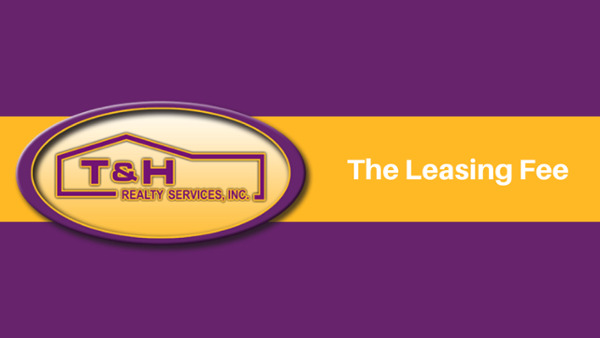 Our homes lease, on average 21 days faster than our competition, saving our Clients hundreds of dollars in vacancy costs. You will find, if you call other property management companies throughout Central Indiana, that leasing fees can vary significantly. Some companies may lease your home for only a few hundred dollars, while others, like us, will charge one month’s rent. So, we’re sure you are wondering… why such a big difference? There could be a number of reasons, but the main drivers are staffing, marketing reach, systems. Please understand that those differences – especially when they impact vacancy and how long your home sits on the market – can impact your overall return dramatically. 1) Staffing: At T&H Realty, we have a dedicated staff working together seamlessly to get the right Tenant placed in your home in record time. From office assistants answering every lead we get, to property managers getting your home in rent ready condition, our team is equipped to get the job done. Essentially, we employ a lot of people with the specific goal of getting your home leased as quickly as possible. 2) Market Reach: Every management company will place you on many different websites. That's pretty standard practice. However, not only will we place your home on numerous websites, we will also list your home on our local MLS system, exposing your home to literally 1,000s of Agents. This is a basic marketing strategy that many Property Management companies fail to implement. Whatever company you choose, you should insist that your home is placed on the MLS system. 3) Systems: Finally, we’ve invested a significant amount of money in Rently boxes, which, after verification, prospects can conduct self showings. As a result, we generally have more than 100 additional showing per week due to Rently boxes. Simply put, companies that have a higher leasing fee have generally invested heavily in the leasing process, while companies that offer a less expensive leasing fee likely haven’t invested heavily in the leasing process. As a result of all this investment, we generally lease home 3 weeks faster than our collective competition. So, while our leasing fee might be more expensive, we generally save our Owners thousands of dollars in vacancy fees, over the course of the investment, simply because our marketing program is so effective. Vacancy is expensive… not only with lost rents but also with utility expenses, lawn care, snow removal, and other costs associated with a vacant property. 1) If we fail to lease your home within 120 days of placing it on the market, you can terminate your contract without penalty. That almost never happens. 2) If, for whatever reason, we have to evict a Tenant that we place during the first six months of that Tenant’s lease, we will lease your home for free the next time. If you have any questions regarding our leasing fee, please feel free to contact us.